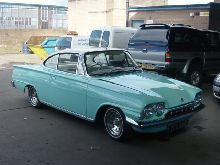 Ford attempted to revive its struggling Capri and Classic range with a facelift and new engine just one year after the models introduction. Both cars had been criticised for their lack of power and the transatlantic styling cues. Unfortunately the cost of tooling changes prevented Ford from modifying the styling, so a new engine was intended to cure the problems. 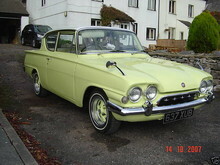 The 116E used a new five bearing engine, borrowed from the Cortina Super, which had a larger capacity of 1498cc (1500). 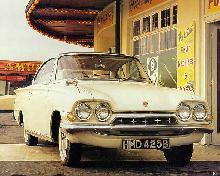 A change of model name completed the image changes the Capri was now the Capri GT (116E). 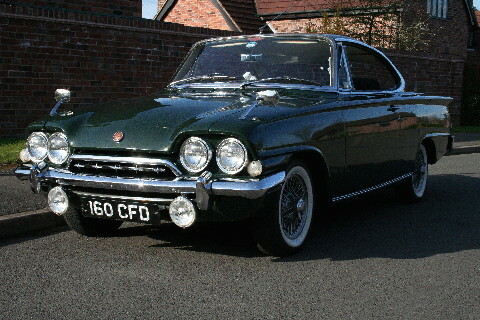 Despite the extra performance, Ford's attempts at revival were not enough to save it and so the range was discontinued at the end of 1963. 8' 3" 4' 2" 4' 2" 14' 3" 5' 5" 0 (18) 0' 0"